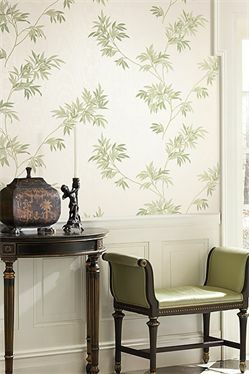 Sort of like beautiful clothing for a room, wallpaper can help make the most of an area. It can help express the personality of your space more easily than any other wall treatments by offering up a seemingly endless array of design options. Wallcoverings can brighten a dark room, create a cozy space, or add character to any area in need of a pop to accentuate a room's architectural features. It provides tremendous impact in just a single-application and can truly transform your space. 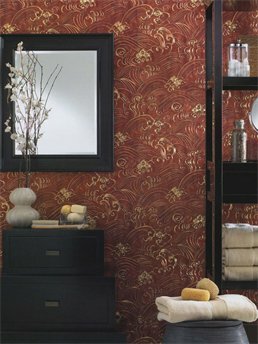 The right wallpaper means easier clean up and longer lasting enjoyment than painting alone. Our mission is to provide excellent service and quality workmanship matched with reasonable pricing. We ensure complete customer satisfaction by using only the finest tools and industry leading techniques while keeping our installation team updated through training each year. Click here to visit our Services page for information on many other services that we provide! Just click below for a free estimate!